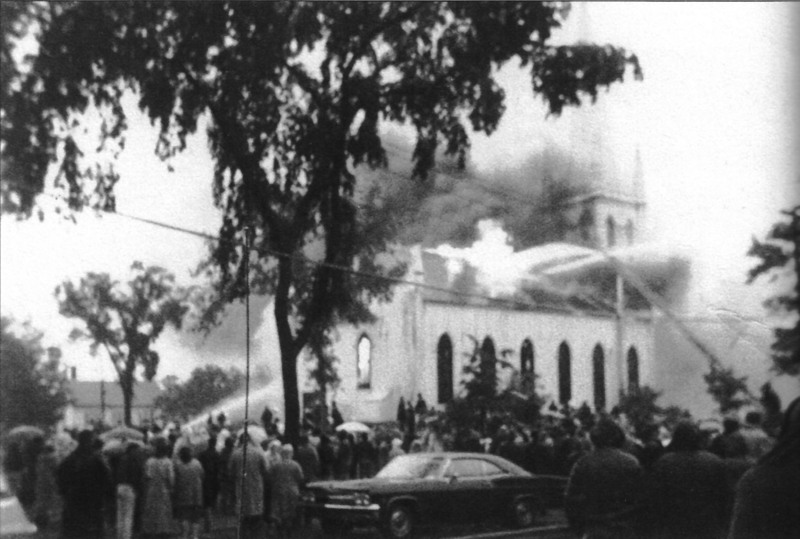 It was a sad day for Ipswich when on June 13, 1965, lightning hit the steeple on the sanctuary of the First Church on Meeting House Green and the building was destroyed by fire. The building was more than a century old and was considered to be one of the best examples of Gothic church construction in America. The only element of the old church that is visible from the exterior of the building that replaced it is the rooster on the steeple. 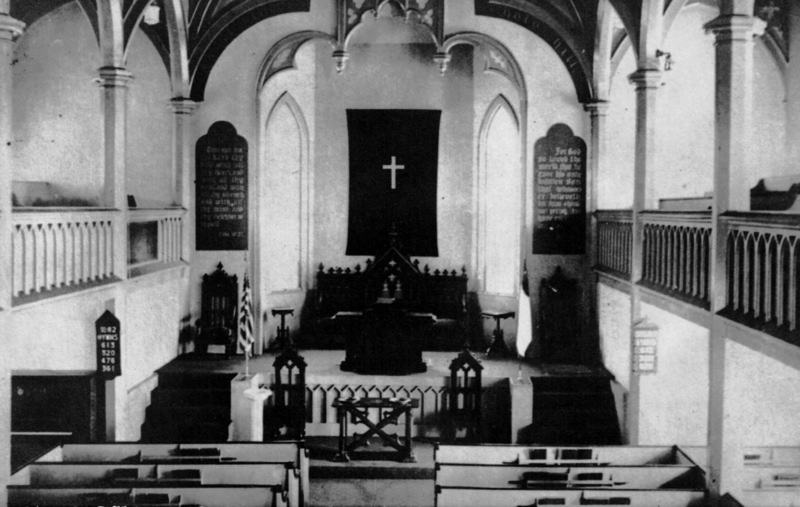 Read more about the history of First Church. The bell from the old church was saved and is in the steeple of the current church. The boy standing by the bell is Bruce Klinger, age 12. Although the building continued to stand, it had to be taken down. 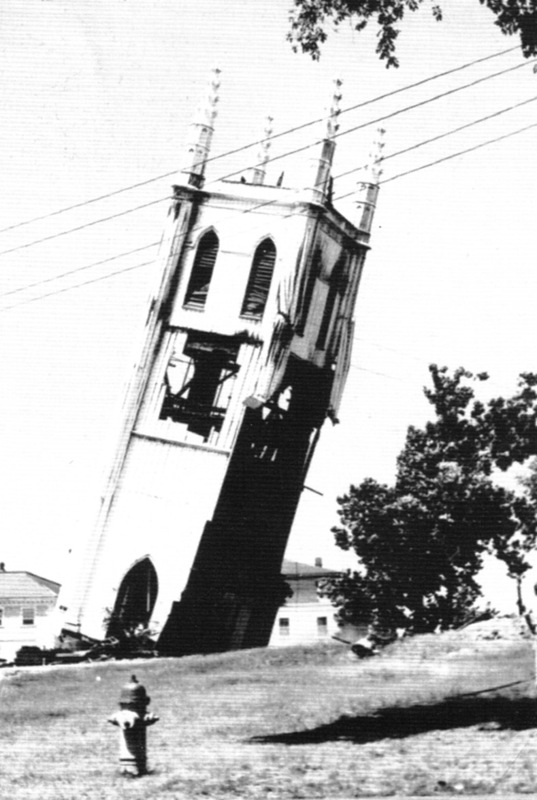 This photo was taken the moment the steeple hit the ground. The Town Clock was removed before this photo was taken. 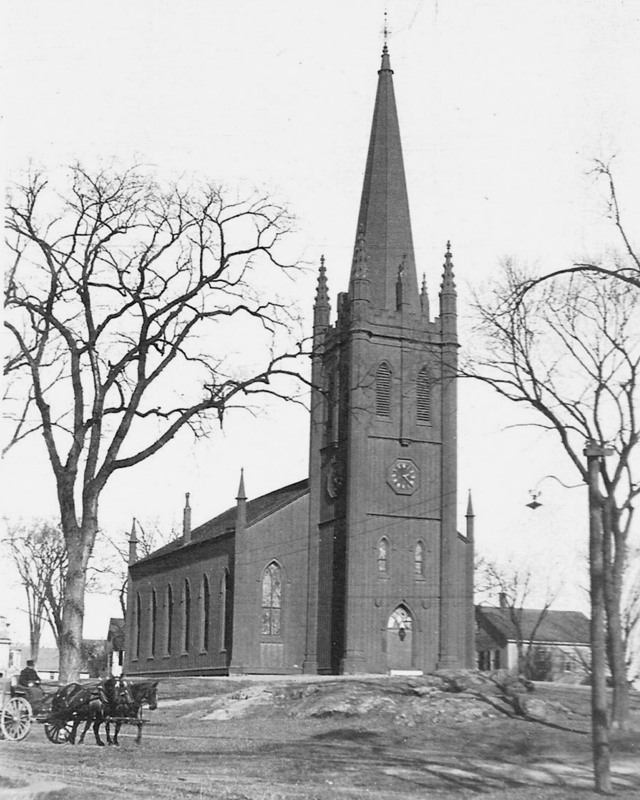 The present First Church was built after the old Gothic building burned. The rooster was saved and installed on the steeple. The new clocks are smaller but identical in appearance to the original. Read more at the Ipswich Chronicle. I remember speaking with Elizabeth Newton and Mary Conley about the difficulty amongst parishioners in choosing a replacement design for the church. I gather it was contentious. If memory serves, author John Updike was one of those arguing that a church should reflect the time in which it was built, just as the earlier versions of the church reflected the design sensibilities of their own times. Architect Arland Dirlam was chosen and I think he was a well regarded church designer. His papers are held by Tufts University and also I think, some at MIT.